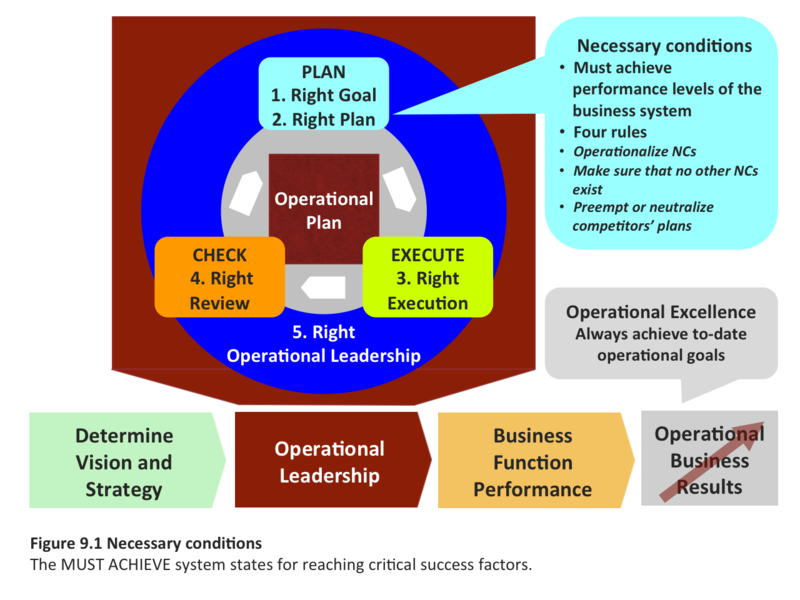 Your operational plan (your surfboard) comprises the key operational projects required to bring the business system to a state where it achieves its goals. The goals of these projects are states of our business system and the conditions that are necessary to bring it to our critical success factors. It is essential to establish the right NCs – a wrong NCs will send people after an operational red herring – wasting company time and effort and leading nowhere in the quest to achieve CSFs. Following four rules outlined in this chapter help in defining the right necessary conditions.